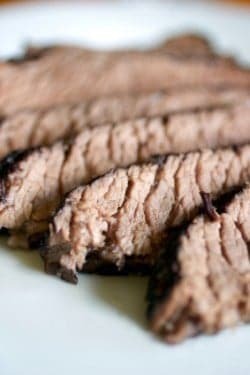 You can make a tender beef brisket in the oven. 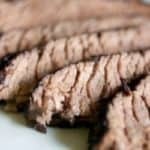 Trim excess fat off brisket. Punch holes in both sides with a fork. Take instant meat tenderizer and sprinkle on both sides. Do the same with garlic salt, onion salt, and celery salt. Place in a shallow baking dish lined with heavy-duty foil. Pour liquid smoke over the meat. Wrap tightly; marinate 8 to 10 hours in the refrigerator, the longer the better. When ready to bake, sprinkle Worcestershire sauce over the meat. Wrap tightly. Preheat oven at 225 for 5 to 6 hours or to your liking. Let cool; save broth. Slice meat thin, and reheat in broth. You may reheat this in your favorite barbecue sauce.